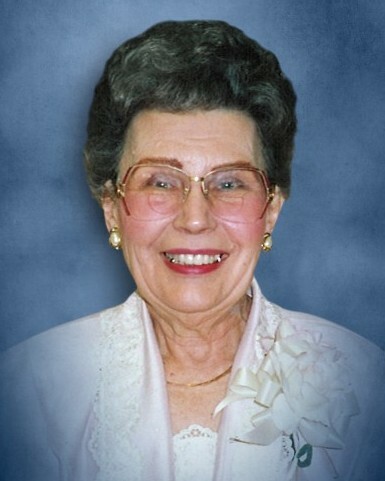 Josephine Albertson was born April 8, 1926 and passed away on March 20, 2019 at the age of 92. She is preceded in death by her husband Buster, her son Jimmy, parents Julius and Rosie Gold, brother L.D. Gold and her sister Ernestien Cox. She is survived by her daughter Janice Chambers and son-in-law Albert Chambers, grand-daughter Kristina Si and husband Xuan Si, grandson Christopher Chambers and wife Haley Chambers and grand-daughter Amanda Cambers. A young Josephine Gold left Caldwell to finish High School. She lived with a family where she helped raise their two boys while she attended school. She took her responsibilities very serious and studied hard, saved her money and occasionally got a ride back to Caldwell with her Aunts and Uncles. She would be forever grateful for her Aunts and Uncles. She felt very blessed for the opportunity to work and finish school. She graduated and went to work for Peden Iron & Steel for 20 years until they closed and again was blessed to gain employment with Harris County where she spend another 20 years. She was dedicated in everything she was involved in or touched. Josephine loved her family; her whole family more than words could express. She would not miss a family reunion or any opportunity to see them. She tried very hard to keep in touch and up to date with everyone as well as update everyone else on any recent news regarding her own family. Her best friend the telephone, was her only vice. During Josephine’s life she married, raised two children, purchased a home and found time to dedicate over 20 years to the Girl Scouts of America, where she met her best friend Ann Clark and made numerous friends. Josephine the Cookie Chairman. When Josephine retired, she became involved in her neighborhood civic center and delivering meals on wheels for the disabled and the elderly in her community through Oak Wood United Methodist church where she was a member. She also contributed time and resources to help establish a Police Store front for the Northside. She was passionate about people and doing for others. She has left us a legacy that will never be forgotten by those who knew and loved her. Thank you Pricilla, Lillian and Ester for taking such good care of mom and treating her like family. Family will receive guests on Sunday March 24, 2019 starting at 10:00 am, with a chapel service at 11:00 am with a reception to follow at Cypress-Fairbanks Funeral Home. The family will have a private burial at a later date.